Museums are places of experience stimulating the senses. 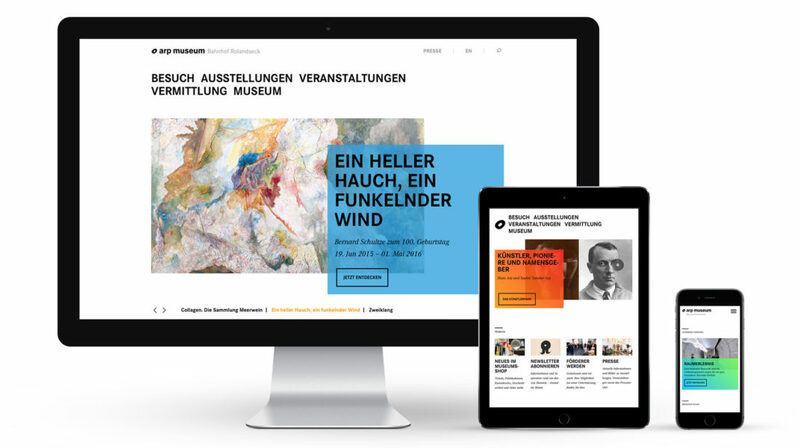 With the new website the Arp Museum has found its digital home whose concept echoes the quality and aesthetics of the museum, makes it possible to experience it online and thus strengthens its position as an internationally important house of art. If you have ever had the opportunity to enjoy a visit to the Arp Museum in the town of Remagen on the banks of the River Rhine, you will know that it is considered to be one of the most beautiful museums in Germany for good reason. The late neoclassical architecture of the historic train-station Rolandseck and the light-flooded new building of American architect Richard Meyer are home to exceptional collections and exhibitions. How, though, do you translate the variety and the aesthetic and intellectual standard of an internationally significant museum in a contemporary, information- and service-oriented online presence – making it accessible to a wide variety of target groups and sparking interest? 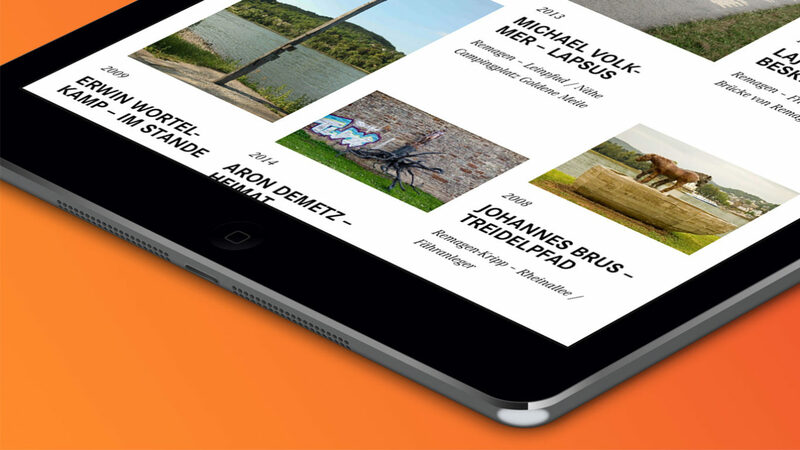 • With aesthetic clarity and a genuine, fresh language focussing on art and information. • With a responsive, barrier-free website whose functional structure and well-thought-out information architecture provide fast, topic-related access thanks to the reorganisation of content and place the user at the heart of the website. • Last but not least an intelligently organised technical implementation ensuring it is up-to-date and flexible and thus keeping content alive and dynamic – for a future-proof web presence. The museum’s new building with its white rooms and generous windows integrating light into the building and lifting the barriers between indoors and outdoors inspired working with transparent, overlapping areas. The discreet colours allow the art to take centre stage. Individually adaptable colour-coding allows highlighting individual exhibitions in interaction with the accompanying print campaign. The high-contrast typography as well yields to the wish for clarity and its interplay with different elements follows the architectural diversity of the museum ensemble. The website with its clear arrangement, well-thought-out imagery and its uncomplicated user guidance makes you curious to come for a visit and tunes you in to this very special place – the Arp Museum becomes an unmistakable place of communicating art also in the digital world.